WE CATER TO ANY SPECIAL EVENTS, MEETINGS, AND OCCASIONS. As an unforgettable location, the Lost Coast Ranch is available to host many special events, meetings and occasions. The property is available for weddings, honeymoons, anniversaries, memorable family gatherings, reunions, and corporate retreats. We also offer the ranch as a filming location. All of these events can be fully catered to the highest standard and your requests fulfilled. Your visit will be managed by our dedicated and impeccable team of event professionals, who will oversee all aspects of your stay. There is nothing more precious than your wedding day and at the Lost Coast Ranch we work joyfully to make your wedding the most memorable day of your life. Whatever you want, however you want it, we will do our utmost to accommodate you. More than that, we can offer you an exclusive and extraordinary venue for not just your wedding day but also your bachelor and bachelorette parties, your wedding rehearsal dinner, the wedding reception and your honeymoon (after your guests have gone of course). Whether it is traditional or modern, intimate or on a grand scale, the Lost Coast Ranch can cater to your every need. The California coast setting is truly magnificent and unmatched in terms of the many backdrops it can offer you. There are many photo opportunities and gorgeous locations for the wedding ceremony and reception. We are happy to arrange a professional photographer who will deliver the most beautiful collection of images, or you are welcome to bring your own. 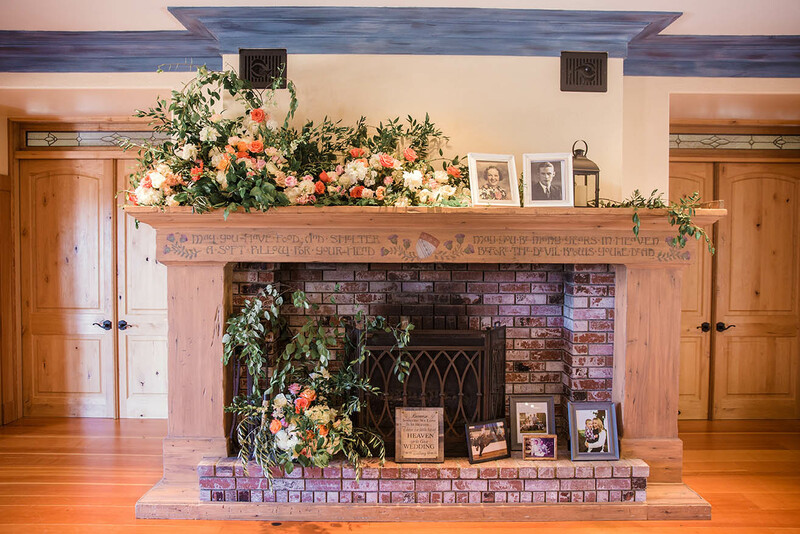 The Lost Coast Ranch is a very unique location that proudly offers all you need for your beautiful wedding, including a wedding package providing a bar, tables, chairs, deluxe catering, onsite parking, security, a private area for dressing, and of course the use of the Ranch house itself. With 18 bedrooms, there’s plenty of room for your guests. We are located 4.5 hours drive north of San Francisco, and the nearest main area’s airport is the Arcata Airport located at 3561 Boeing Ave, McKinleyville, CA, (approx. 45 minutes’ drive from the ranch) with daily planes trips from Oregon and from San Francisco, There are other private airfields nearby such as; Rohnerville Airport, Fortuna, CA and Murray Field, Eureka, CA. Our attentive staff is on hand to make sure that every need is catered to, and you will never be without one of our senior team members to make sure that your special day runs smoothly. As an unforgettable location, the Lost Coast Ranch is available to host many special events, meetings and occasions. The property is available for weddings, honeymoons, anniversaries, memorable family gatherings reunions, and corporate retreats. We also offer the ranch as a filming location.